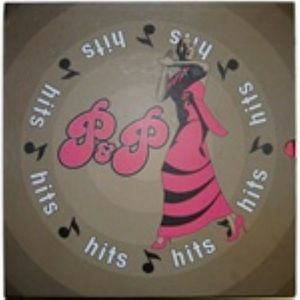 VARIOUS P&P Records: Hits Hits Hits vinyl at Juno Records. 1. Super Coper & Clarence Breakers - "This Is The Way You Do The Break Dance"
3. The Destiny Orchestra - "Spring Rain"
4. Fresh Female - "Roller Rooster Rap Dance"
5. Sherod - "Schooling (Put Your Mind To The Message)"
7. Wild Honey - "Only September"
8. Wild Honey - "I've Been Working"
9. Otis Turner - "Do The Funky Donkey"
10. Otis Turner - "Who's Gonna"
11. Brisko The Kid - "Big Foot Boogie"
12. CC Crew - "CC Crew Rap"
13. Gaylord - "Walking 42nd Street"
15. Kessler - "Turn Up Your Radio"
16. Land Of Hits Orchestra - "Gangster Rock"
17. Le' O Roy - "Pound For Pound"
18. Little Starsky - "Gangster Rock"
19. Master Jay - "We Are People Too"
20. Mr Fox - "Smooth Talk"
22. Universal Two - "Dancing Heart"
29. La She Ba - "You've Been Hunchin'"
32. Lil Michael - "She Swept Me Off My Feet"
34. Margo's Kool Out Crew - "Death Rap"
35. Naomi Peterson - "Sweet naomi Rap"
36. Stack - "Win Jesse Win"
38. Tony Gray & Beverly Lee - "Moan For Love"
40. Troy Raine - "Tricky Tee Rap"
41. The Imperial Three - "It's Rough"
45. Mr B - "Rapper Dapper B"
47. Various Artist: Big Break Rapper Party - "Family Rap"
48. Various Artist: Big Break Rapper Party - "Willie Rap"
49. Various Artist: Big Break Rapper Party - "We Are People Too"
50. Various Artist: Big Break Rapper Party - "CC Crew Rap"
51. Various Artist: Big Break Rapper Party - "Teen Machine Rap"
52. Various Artist: Big Break Rapper Party - "Patty Duke"
53. Various Artist: Big Break Rapper Party - "Dancing Heart"
54. Various Artist: Big Break Rapper Party - "Death Rap"
55. 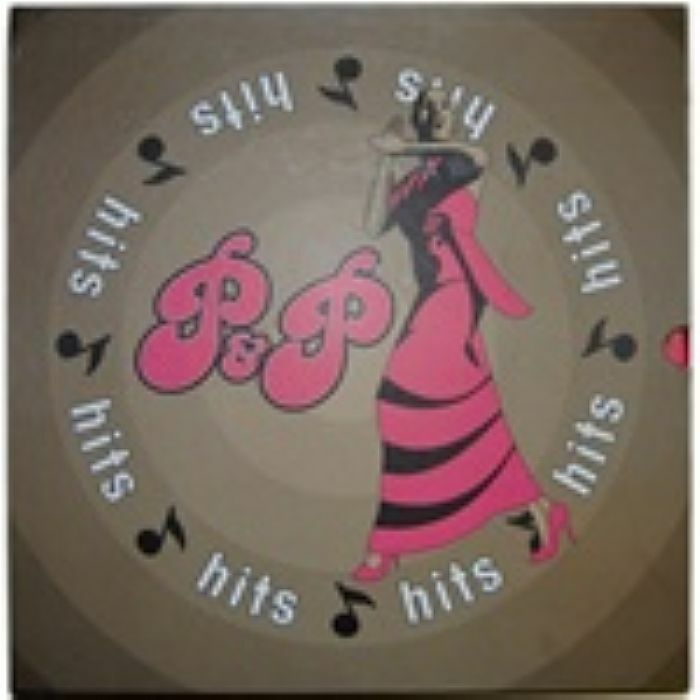 Various Artist: Big Break Rapper Party - "Boogie Feelin' Rap"
56. Various Artist: Big Break Rapper Party - "A Scoopy Rap"
58. Mary Clark - "Take Me I'm Yours"
59. MC Rock Lovely - "One Time Two Time Blow Your Mind"
61. Ahzz - "New York's Movin'"
62. Bernard (Rapper Dapper) Thomas - "Got To Be In Got To Be Out"
64. Fly Guy - "Fly Guy Rap"
67. Jesse Henderson - "I Did It Again"
68. Louise Murray - "Did You Notice"
69. Louise Murray - "Let's Just Stay Away"
70. Mistafide - "Equidity Funk"
71. Shift - "Roller Rink Funk"
72. Teen Machine - "Teen Machine Rap"
73. Zoot II - "Dr Ice Rap"
74. Best Friend Around - "It's So Good To Know"
77. Smokie Brook - "Long Time Ago (But I Wish Today Was Yesterday)"
78. Smokie Brook - "I Want To Be True"
79. Scott Davis & The Movements - "Freaktime"
82. Cloud One - "Disco Juice"
83. Cloud One - "Charleston Hopscotch"
84. Cloud One - "Spaced Out"
85. Dennis Mobley & Fresh Taste - "I'd Do Anything For Your Love"
86. Dennis Mobley & Fresh Taste - "Superstition"
87. Flame & The Sons Of Darkness - "Solid Funk"
88. Flame & The Sons Of Darkness - "Something"
89. Florence Miller - "I Believe In Love"
90. Florence Miller - "I'm Coming Back To Life Again"
91. Henry Brooks - "Mini Skirt"
92. "The Greatest Debt To My Mother"
95. King David - "Set You Free"
96. King David - "Stoop Down Baby"
97. King David - "Hitch Hike One More Time"
98. King David - "A Boy From Texas A Girl From Tennessee"
101. King David - "Hitch Hike One More Time"
107. Mancefield Hitchmon - "Going To A P&P Disco Party"
111. Oral Caress - "Why Can't Our Love Be Like It Was Before"
112. Oral Caress - "Love Fantasy (Reason To Live)"
113. Oral Caress - "You Gave Me Love"
122. Sons Of Darkness - "Funky Thing"
123. Sons Of Darkness - "Funky Thing"
124. Sons Of Darkness - "What It Looks Like"
125. Sons Of Darkness - "Blak Ice"
128. Cloud One - "Dust To Dust"
129. Cloud One - "Doin It All Night Long"
130. Cloud One - "Jump Jump Jump"
131. Cloud One - "Funky Track"
132. Cloud One - "Happy Music"
133. Cloud One - "Stomp Your Feet & Dance"
134. Cloud One - "Music Funk"
135. Cloud One - "Happy Music"
140. High Fidelity - "Life Time"
141. High Fidelity - "Dedicated"
142. High Fidelity - "Love Champ"
143. High Fidelity - "From Us To You"
144. High Fidelity - "Destinity"
145. High Fidelity - "Magic Carpet"
147. Joyce Jones - "Remember Me"
150. Licky - "African Rock"
152. Little Scotty - "Going To A Disco To-Night"
154. LJ Waiter - "Hook On Your Line"
156. Marvin Wright - "Robot Dance"
157. Marvin Wright - "Funky Phantom"
160. Scott Davis & The Movements - "A Better Place"
163. Sweet G - "Boogie Feelin' Rap"
166. Various Artist: Queen Constance EP - "Remember Me"
167. Various Artist: Queen Constance EP - "Searching For My Lover"
168. Wayne Ford - "Dance To The Beat Freakout"
169. Wayne Ford - "The Best Thing In Life"
170. Milton Floyd - "I'm A Shadow"
171. Milton Floyd - "Anyway I Can"
174. Eddie Owen - "I Wanna Keep Somebody Happy"
175. Eddie Owen - "Determination"
176. Eddie Owen - "Alone"
177. Eddie Owen - "Mrs M"
179. Chain Reaction - "Dance Freak"
180. Little Scotty - "Shout At The Disco"
182. "I Want To Dance"
184. Rudy Stuart - "Get Down"
185. "One & Only Lover"
186. Scoopy - "A Scoopy Rap"
187. Willie Wood & Willie Wood Crew - "Willie Rap"
188. Jesse Gee - "Let's Do It"
191. Tuf Mc's - "Jingle Beat"